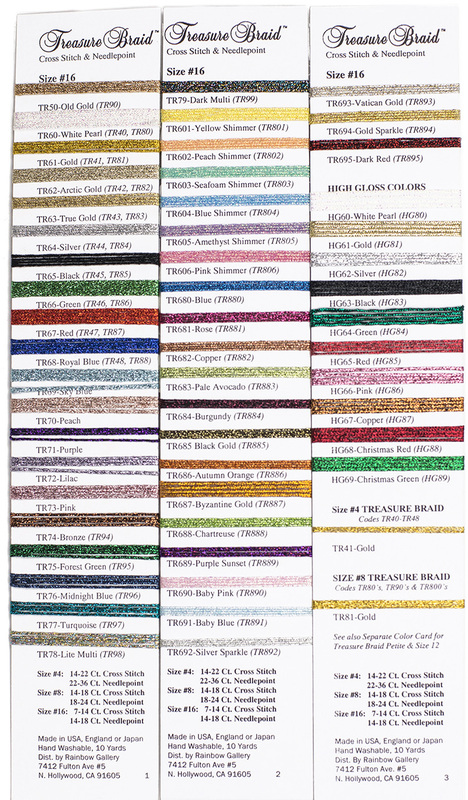 Treasure Briad is a shiny metallic that comes in size #12 and #16. All are braided and will not unravel as you stitch. It is very durable and can be used in longer lengths. It is a soft metallic and covers the canvas well. 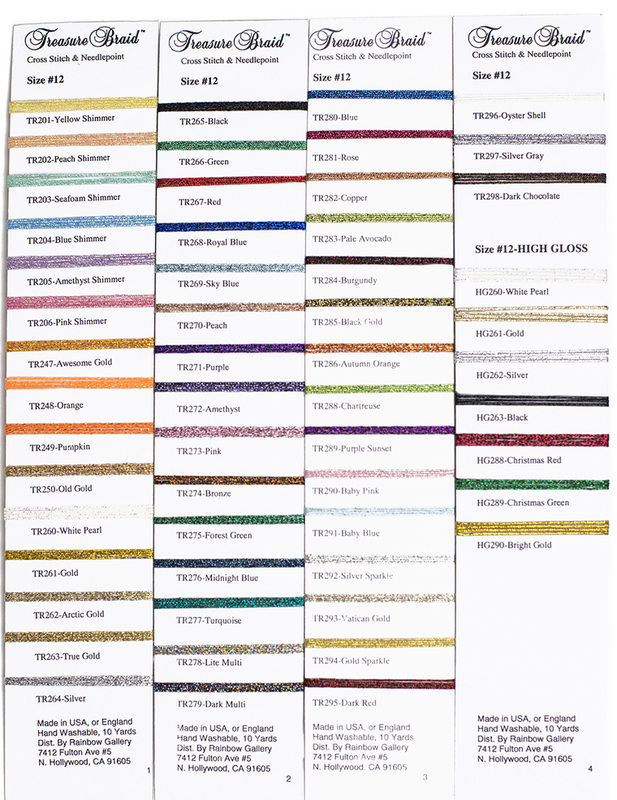 Available in several colors that include High Gloss and Shimmer Colors. Size 12 is braided with 12 filaments.